All of our backsplashes are made in our state of the art facility, to exact specifications. Our team is made up of smart, talented people who care about what they do. From sales to fabrication, from engineering to shipping – through and through, we have what it takes to get the job done quickly with precision and efficiency. 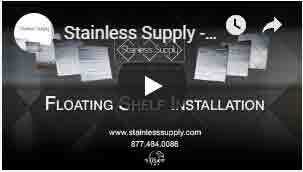 Our stainless countertops are made from prime 16 gauge 304 18/8 stainless steel. 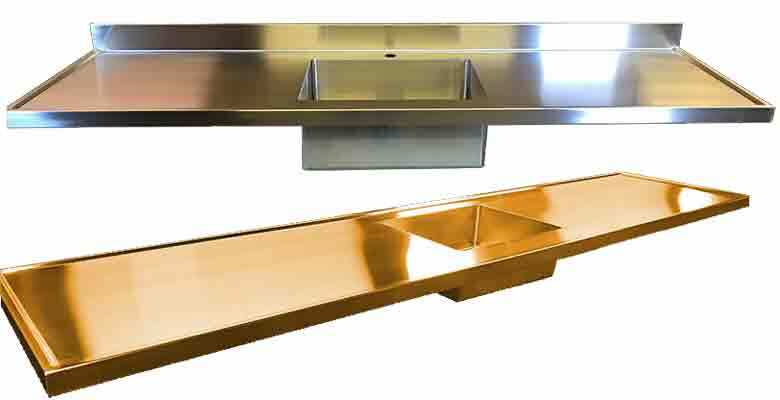 Our copper countertops are made from prime 48 ounce (16G, .064") copper sheet. From sales to fabrication, from engineering to shipping – through and through, we have what it takes to get the job done quickly with precision and efficiency. 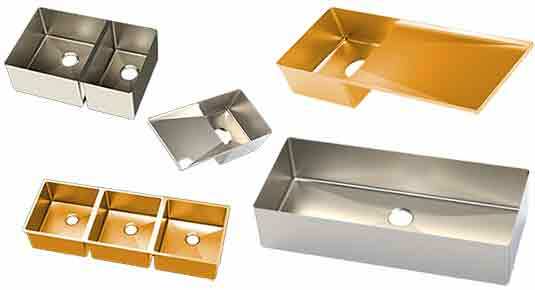 We design and build our sinks in house using modern machinery and old fashioned craftsmanship. Each sink is made to order regardless of size – so go ahead and get exactly what you want without compromise! Trim Molding – Used to attach wall cladding and provide an aesthetic for covering seams between sheets and around corners. All of our tables are designed and manufactured in house to exact specifications. Choose from our Cabinet Base or Open Base designs. Use the design and quoting tool to quickly configure and order tables online. Specializing in high end stainless cabinetry. 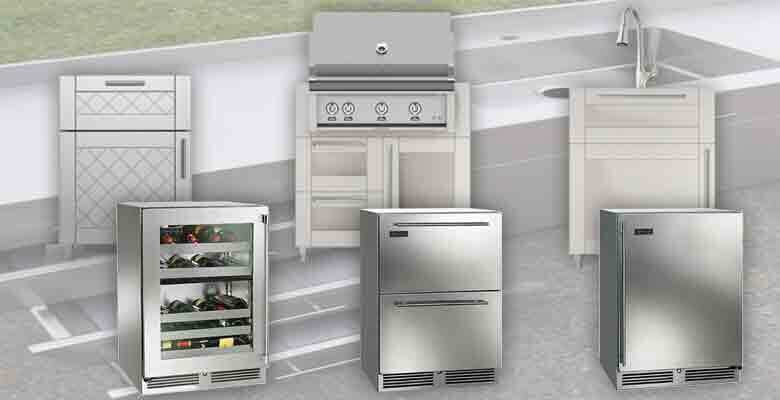 Offering the latest in Outdoor Kitchen Cabinets. We invite you to experience our commitment to elegant craftsmanship & innovative designs.